So, Gallows have lined up a special show with sponsorship by Sailor Jerry’s. 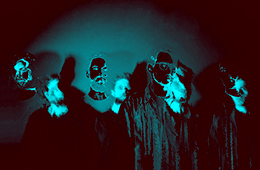 Provided they can make it to the stage with all that complimentary rum lying around, the band will appear at the nautical spirit brand’s very own live music venue, ie London’s Hotel Street, on 22 Jun, to presumably play part of their forthcoming but as-yet untitled LP. Now, isn’t that nice?